The Guardian says they’ll insist on keeping the 25-year-old until after the World Cup and that it’ll cost a fee of £79m to secure his services. 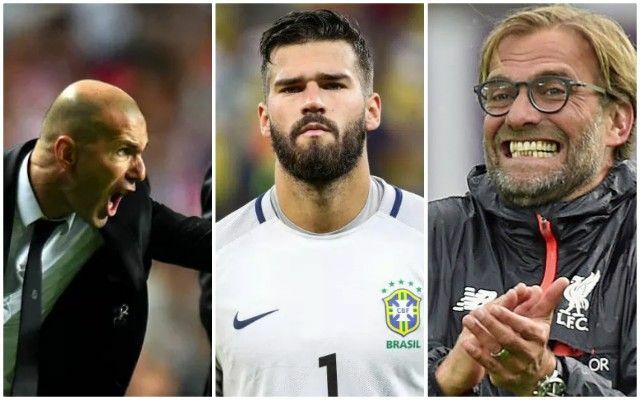 Liverpool would obviously prefer to wrap up a deal before Alisson heads off to Russia… He’ll actually be playing in a friendly at Anfield this weekend v Croatia – so now could be a handy time to get discussions underway. £79m is crazy money, but after we secured Mo Salah from Roma in 2017 for under £40m, it’s no surprise the Serie A club want to avoid selling on the cheap. Liverpool made £142m in January by selling Coutinho, and a hatful from reaching the Champions League Final too – so have money to spend on the right players. A goalkeeper is arguably the biggest necessity of our summer, following Loris Karius’s nightmarish outing in Kiev.